In 2003 the world suddenly seemed a little bigger, a little slower, a little duller. On November 26 that year Concorde was retired – and many thought aviation had taken a step backward. Even though the ticket price had made Concorde the preserve of the few, it had been viewed with great affection and awe. However, as propulsion technology is advancing, so too are the number of concepts for supersonic passenger flights, with the first – the AS2, jointly developed by Airbus and Aerion – billed to arrive as soon as 2023. With many other concepts in the pipeline, it’s time to prepare for a faster future that brings short-haul flight durations to long-haul travel. 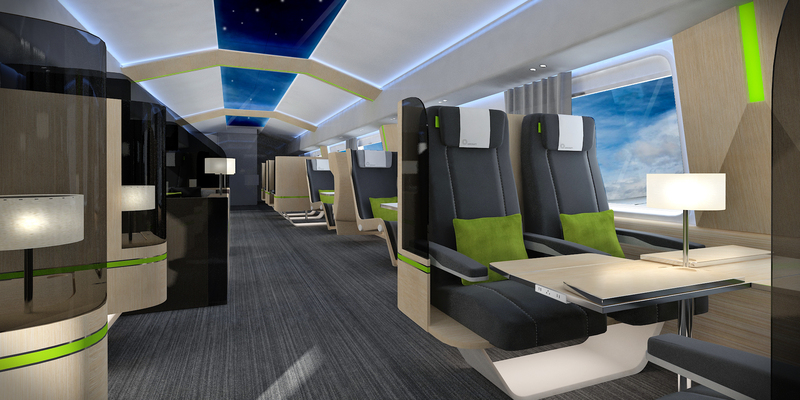 We spoke to some of the cabin design industry’s biggest names to find out what the one- to six-hour supersonic passenger experience might look like, given the massive increase in first and business class travel expectations since Concorde’s demise. They were free to let their imaginations run riot, with just two provisos: they had to think within the confines of a narrow-body fuselage, for aerodynamic reasons, and they had to address the needs of wealthy passengers paying high fares. Specifically, Darbyshire envisions a cabin with no windows, which brings strength and weight advantages. Instead the walls and ceilings will be wrapped in large displays that create a blank canvas for the imagination, harnessing technology that will make today’s virtual reality look outdated. Going even further, the whole ceiling could become a projection system, making the onboard experience more about the virtual reality environment one chooses, rather than the hard, tangible experience. Noting that it is not yet clear what sensation of speed passengers will feel in the cabin, Darbyshire adds that the thrill of the velocity may need to be communicated through the cabin experiences. 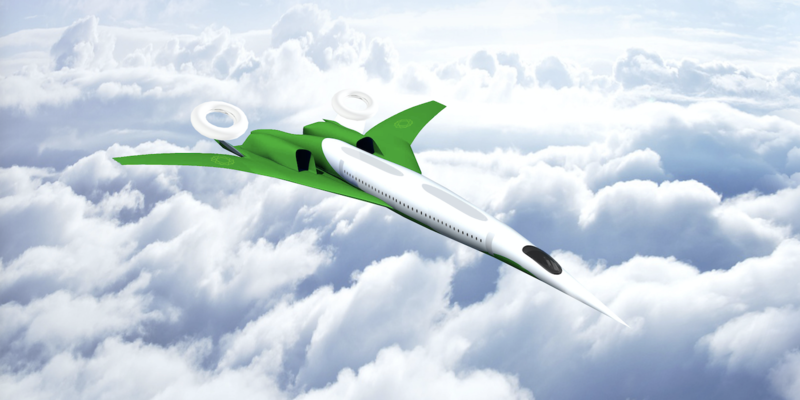 One overriding sentiment among the experts is that supersonic flight is such an exciting prospect, it should be embraced within the passenger experience. While many of today’s luxury cabins aim to replicate the feel of a boutique hotel, supersonic travelers should feel they are part of a very special flying experience. Let’s consider the seating space, where passengers will spend most of their brief time on board. One thing all the design houses we spoke to had in common was a feeling that supersonic flyers will not require lie-flat beds, as they do not fit with the USP of these machines. 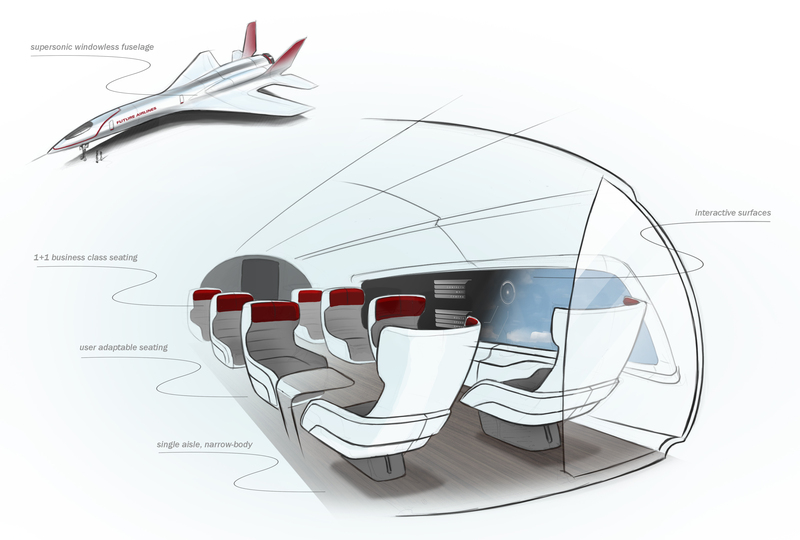 There was a feeling that a premium economy pitch could be suitable, but while today’s premium economy seats would offer adequate comfort for supersonic missions, we want more. Harcup also suggests having seats that can rotate to enable face-to-face dining, and can also face the window so that one enjoy a cocktail and an incredible view with a travel companion – even if the view is virtual. Peter Knapp, global creative officer at Landor, is also keen to offer flexibility in the seating arrangements to give passengers liberty, with rotating seats giving them options to face forward on take-off, look out of the window when landing, and turn and face each other for dining. 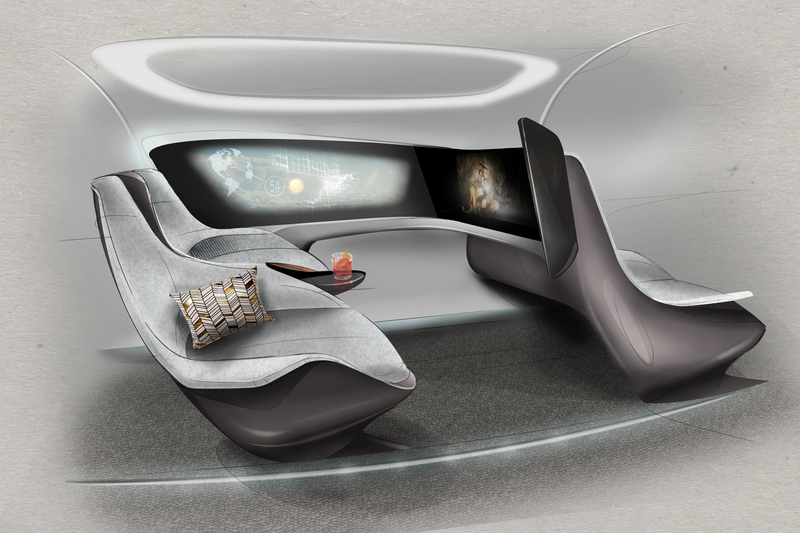 Ugur Ipek, founder of the Ugur Ipek Design agency, predicts a visually interesting cabin with an asymmetric LOPA of slightly differently styled seats, a layout that is flexible enough to offer reconfiguration options for passengers who want to make the experience their own. 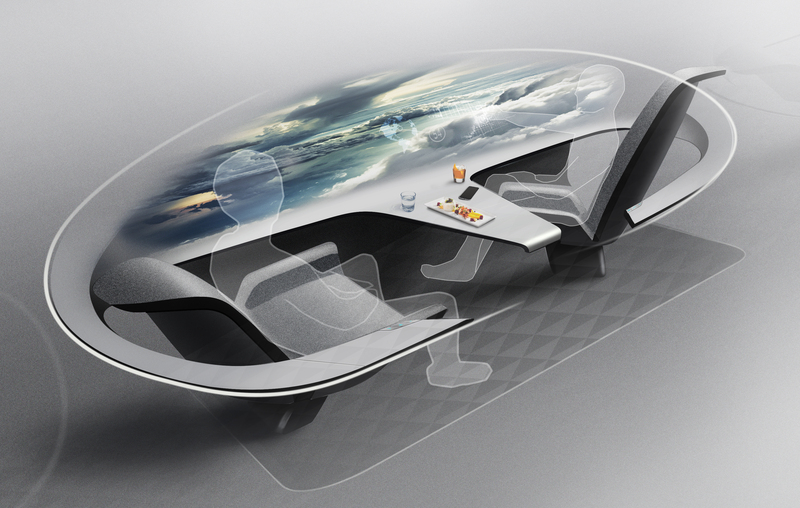 This sense of personalization is also predicted by John Tighe, design director at JPA Design, who wants to combine technologies to make an ultra ‘smart’ product that enables an airline to offer a space tailored to suit customers’ needs for that specific journey. “This is necessary as the limitations in size and weight will preclude the usual multifunctional bed, lounge and office that a first class suite provides. Rather than offering everyone a compromised choice to cover all eventualities, the airline can offer a far higher-quality tailored space and service to suit the passenger’s needs,” Tighe explains. Simply phone the airline ahead of your flight – or have your people call their people – and the right environment for your journey will await you. Want to relax and enjoy the view? No problem, the seat will be preset to suit. Need to work all journey? The fastest desk in the world will be waiting. Don’t need IFE? It won’t be uploaded. Not hungry but want champagne? It’s being chilled to perfection. “This will drive a smart, super light but configurable cabin, all enabled by getting the passenger to buy into the ethos of the experience,” Tighe adds. For an airline view we spoke to Cristian Sutter, a cabin design specialist with experience at Thomson Airways, British Airways and Jet Aviation Basel, who predicts seating with a footprint comparable to today’s premium economy, but with a little enhancement through the use of ergonomics with flexible and adaptable geometry, built-in cooling and heating systems, a massage function, and headrest-mounted noise-cancelling systems. Darbyshire also predicts an offering of something close to premium economy, but with more comfort and offering the privacy that Forbes List flyers might demand. Joan Collins was reported to have paid for the front four seats on Concorde just to achieve privacy in the small cabin, so how can the Joan Collinses of this world enjoy tomorrow’s supersonic travel without having to quadruple their flight costs? 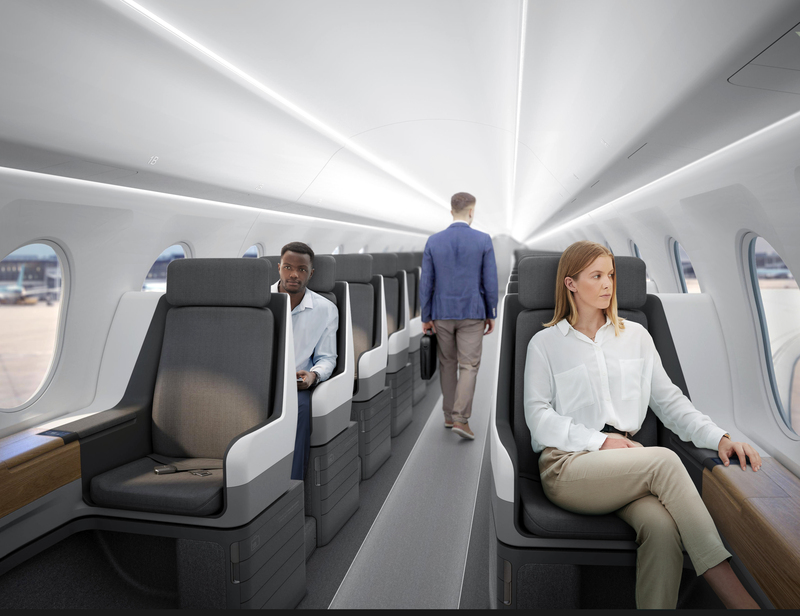 Darbyshire suggests staggered seating as an option and that sleeping comfort will be important for overnight flights of six hours – San Francisco to London, say. For flights closer to three hours, he thinks that reclining seats, with a gimbal mechanism if there is a vertical climb, would seem appropriate. The experience of supersonic flight will be a greater attraction than even the most gripping of movies. Entertainment options are necessary though, and the IFE systems on board these aircraft could take a new direction, making the passenger part of the action, rather than being a passive observer. One view most of our experts had in common was a view that ‘traditional’ IFE content would be offered via streamed content or pre-loaded tablets, rather than seatback displays, and given that the captains of industry likely to be on board, reliable and powerful connectivity to keep in touch with the boardroom is a must. Speed aside, the most exciting thing about supersonic travel is that it could embrace the wonder of flight within the passenger experience, with everything geared toward involving flyers in the journey rather than distracting them from it. If you want lie-flat beds, 32in IFE and showers, take the slow plane – the supersonic experience will be too exciting to sleep through.